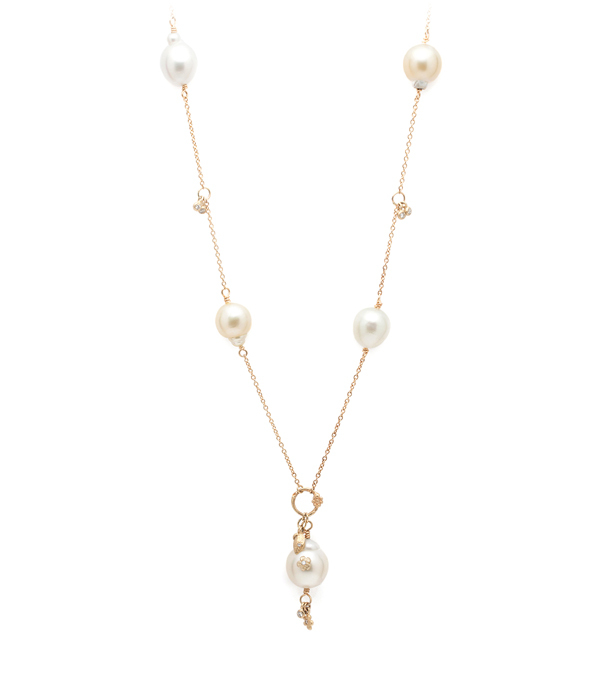 Luminous baroque south sea pearls are evenly spaced along the 14k gold chain, interspersed with dangling diamond pods and finished with a larger baroque south sea pearl center piece, accented with dangling leaves, flowers and diamond pods. This piece measures 29″, draping naturally with no clasp. The ultimate necklace for the beachy, “bohemian elegance” bride! 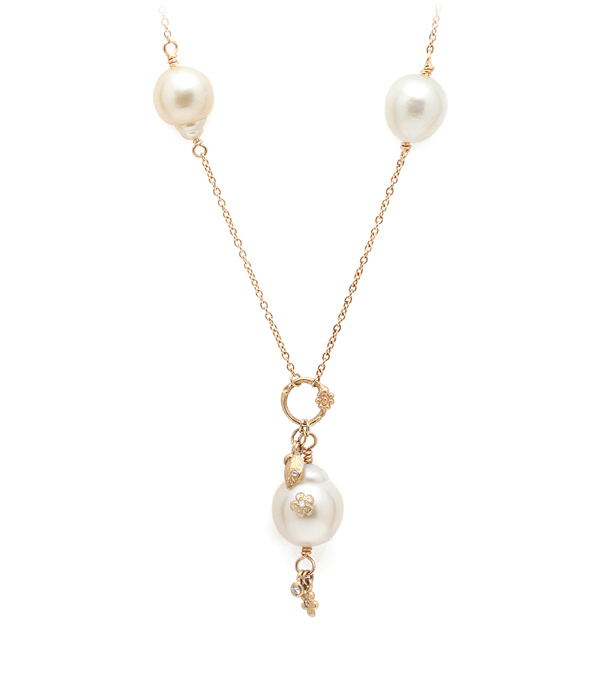 Every pendant is slightly different due to the unique nature of each pearl but we know you will absolutely love it! Categories: Bohemian Elegance, Earth and Sky, Necklaces.